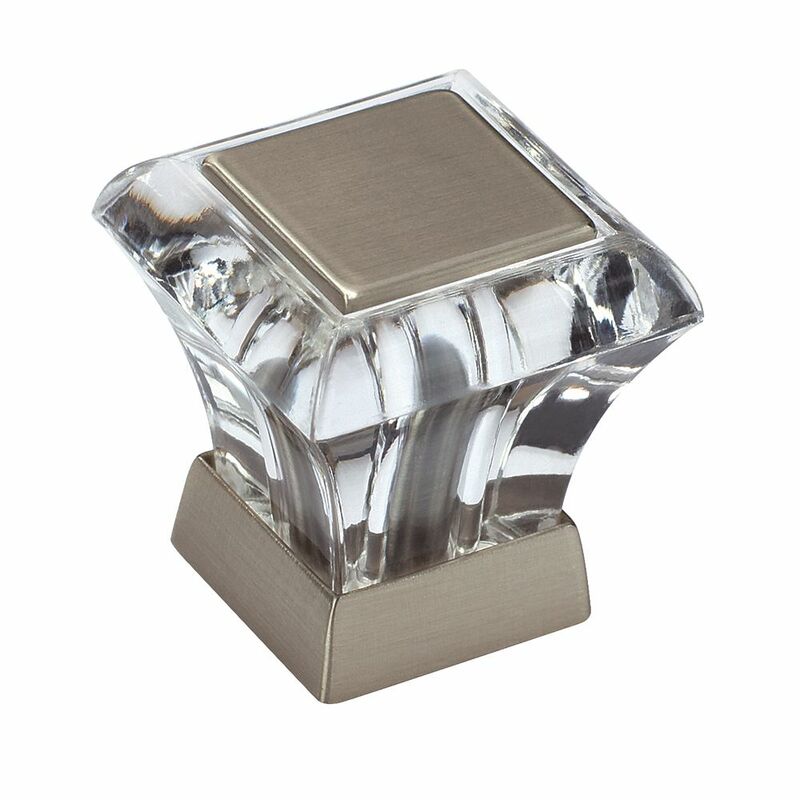 The Amerock BP29460CG10 Abernathy 1-1/16in(27mm) LGTH Knob is finished in Clear/Satin Nickel. With an air of elegance, the Abernathy collection adds depth and dimension to any space. Accented by four distinct finishes, the stunning jewel-like Knobs add a classic touch resulting in a sophisticated and timeless look. The classic Satin Nickel finish provides a sleek, lightly brushed, warm grey metallic look. Abernathy 1-1/16 Inch (27mm) LGTH Knob - Clear/Satin Nickel The Amerock BP29460CG10 Abernathy 1-1/16in(27mm) LGTH Knob is finished in Clear/Satin Nickel. With an air of elegance, the Abernathy collection adds depth and dimension to any space. Accented by four distinct finishes, the stunning jewel-like Knobs add a classic touch resulting in a sophisticated and timeless look. The classic Satin Nickel finish provides a sleek, lightly brushed, warm grey metallic look. Abernathy 1-1/16 Inch (27mm) LGTH Knob - Clear/Satin Nickel is rated 5.0 out of 5 by 4. Rated 5 out of 5 by Cathy from Replaced our knobs with these on newly painted white cabinets... Replaced our knobs with these on newly painted white cabinets and they look great with our brushed nickel faucets and fixtures. Rated 5 out of 5 by Cfran from They look just like the picture. ... They look just like the picture. Rated 5 out of 5 by JF from These handles look great on my new cabinets and bifold... These handles look great on my new cabinets and bifold doors! Easy to install, though the screws were not long enough for the bifold doors - otherwise great product.